All Garden City homes currently listed for sale in Garden City as of 04/22/2019 are shown below. You can change the search criteria at any time by pressing the 'Change Search' button below. If you have any questions or you would like more information about any Garden City homes for sale or other Garden City real estate, please contact us and one of our knowledgeable Garden City REALTORS® would be pleased to assist you. 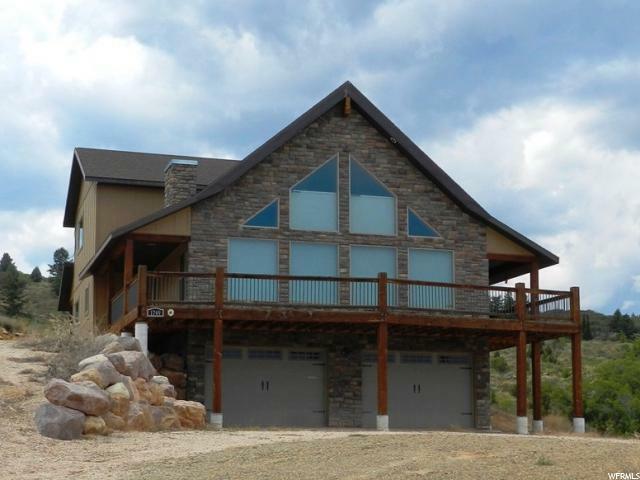 "This Mountain Modern home sits on 10.4 acres with a wall of windows for breathtaking Bear Lake views, with 6,312 square foot of living space, eight bedrooms, five and a half baths. Gorgeous features throughout, enjoy entertaining in your spacious open floorpan with large dining area, state of the art kitchen with 12' quartz island and butlers pantry with plenty of storage for large gatherings. Main floor has two master suites with walk-in showers, freestanding bath tubs and private commode rooms. Also a large mud room with benches and cubbies. Upstairs boast a third master suite and two rooms with a Jack and Jill bathroom, and a game room. Great setup for large groups or multi-generational living. Downstairs features a huge 20x40 gathering area, plenty of room for TV area and game tables plus three more large bedrooms and a full bath. " 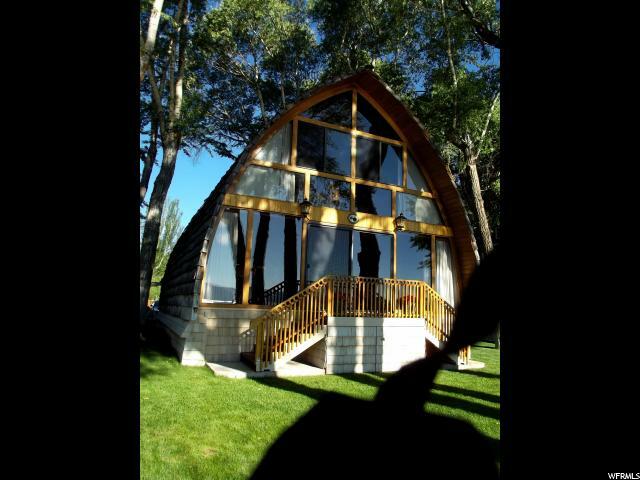 "Located in Beautiful Bear Lake. Close to the Scenic Bike Trail, shops and restaurants. Includes 10 master suites with fireplaces & 2 bunk rooms. Large dining room is adjacent to a large patio. Large INDOOR CHILDREN'S PLAYLAND with rock climbing wall, custom indoor treehouse with slides, etc. and large theater room for fun year round. The kitchen is well-designed and features three fridges, double ovens, double dishwashers, double sinks. The beautiful back yard has lots of room to play or relax. 15 parking spots to accommodate most groups! Short-term rentals allowed! Sold furnished! Square footage figures are provided as a courtesy estimate only. Buyer is advised to obtain an independent measurement." "Sale Includes 2 Parcels... Turn East on 150 South from Bear Lake Blvd. Proceed East toward Lake and when you see the Gate to Lake Access, turn right on the 2nd Gravel Road Then Proceed to Double Iron Gate...drive through gate, unless locked, while Owner Gone Out to Eat.., ASK about Where to Build the 2nd Cabin, The massive Seawall was built w/Army Corps of Engineers permit... SeaWall has Steps Leading to Lake from the Redwood Deck:-) Cabin Furnished w/Numerous Bear Lake Momentos & Memorobilia including Hand Carved mini Bears & Furnishings Like master Bedroom Bed w/Carved Bears, etc. 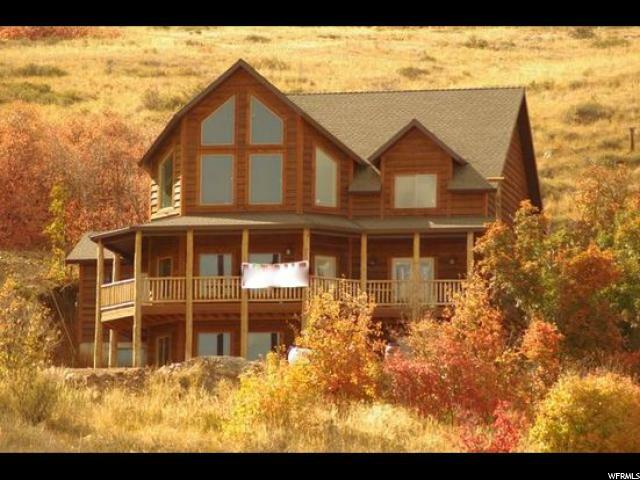 Owner taking personal property, Clothes & a few items out of Garage...Wake Up to Clear Untouched Views across Bear Lake. from Your Master Bed. Large shade trees are on sides of cabin and also and in front lawn, providing Great Shade. See Ideal Beach & Blue Water Beach. North Beach across Idaho Border has awesome beaches, too. plus Food Boat that comes close to shore... The Cabin has 3 Sources of Heat,The Large Storage Bldg. includes most yard tools & some equipment, Most of which stays with the sale..A Large Propane Tank usually remains 1/2 Full. Ask Karl about Separate Outside Cinderblock Bath , Shower & Toilets building, for kids and acquaintenses :-) PLEASE BRING A BANK or LENDER PREQUALIFICATION LETTER SHOWING FUNDS AVAILABLE TO CLOSE :-) Buyer has had some people just want to see the property, who did not have funds to close:( Thx.KK"
"INVESTMENT OPPORTUNITY!! 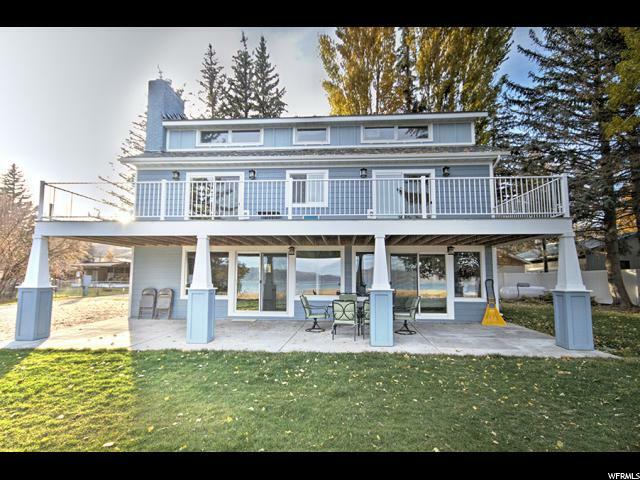 124' of BEAR LAKE BEACHFRONT!! Nightly rental property featuring eight large bedrooms (sleeps 38) and 5 baths plus two family rooms and a play room on the third level. Large kitchen includes two large refrigerators for large groups plus two separate dining areas and a large covered deck with plenty of tables. House is located on a great beach with lawn and mature trees. Boat rentals are close by at Epic Recreation marina. This is a must see beachfront home!!! Call listing agent now! " "Custom Mountain Modern home currently under construction. 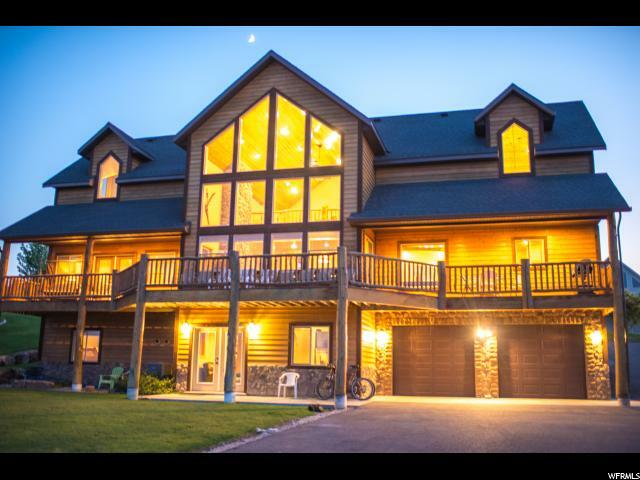 Sits perched on 6.6 acres while overlooking beautiful Bear Lake with 4,795 square feet, six bedrooms and five baths. Enjoy gathering and relaxing in this stunning open floor plan with large kitchen and 14' quartz island. Step out and take a deep breath of the clean mountain air, while entertaining outdoors on this expansive covered deck. One-Level living features master suite and laundry room on the main floor with plenty of room for your guests downstairs where you will find two more master suites and an oversized gathering room in your walk out basement. A four car garage to house your lake and mountain toys. " "Beautiful High End home in Bridgerland Village. Open floor plan with oversized bedrooms. 7 bed 4.5 bath make this the perfect home for large groups. High end finish work throughout. Hot tub included with stunning views. Year round access. Grand views of Bear Lake and mountains. Direct access to National Forest atv trails. Sold TURN KEY!" "BEACHFRONT!! NO HOA!! Close to downtown Garden City for shops and dining, close to bike path city park and fish pond. Granite, hardwood, master with access to patio, amazing lake views, huge deck, kids bunk room/play area on third level, huge mature pines. Sold furnished ready to use and/or nightly rent! Call listing agent now! " 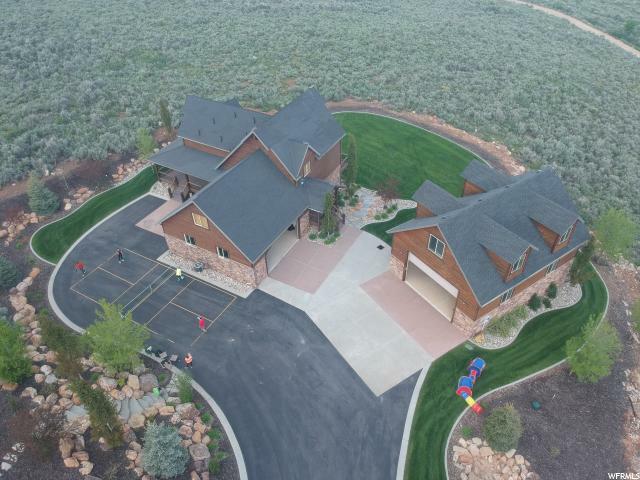 "You don't want to miss this amazing Farm house in Bear Lake! Big house with a Huge Garage! NIGHTLY RENTAL AREA! No HOA! Lots of custom work. Maple wood floors, Spacious kitchen with commercial stove. Plenty of space for a big family. Each HUGE bedroom has a loft! On 1 ACRE in downtown Garden City. Right on Bike path and close to retail stores. Workshop is 38x56. 2248 SQFT. 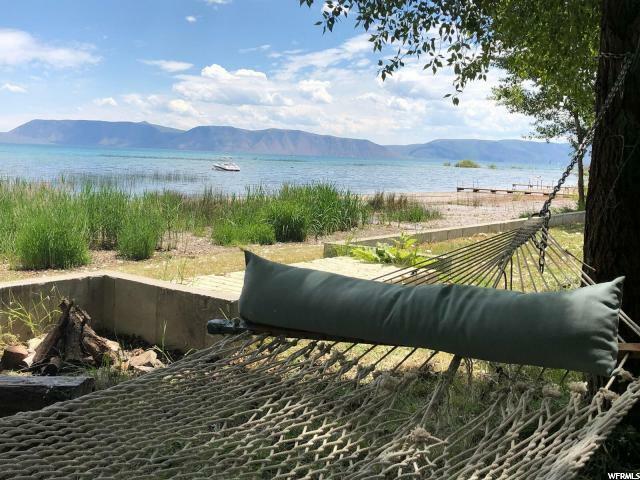 Lots of room for RV, Boats, Dirt Bikes, and Snowmobiles to enjoy Bear Lake year round. Shop includes Kitchenette, office, full bath, and loft. Possibilities of finishing it with bedrooms to rent out. It is also ready for a greenhouse to be installed on south side. 10 Open bays on end of property with a animal corral. This is a place worth seeing! Make your appointment today. " "This one of a kind house sits in a quiet cul-de-sac that is just far enough from town to feel secluded but close enough to get to the beach in minutes. Access trails right out your backdoor and see moose, elk, deer, turkeys and all manner of wildlife all around. Upgraded kitchen, massive great room on all floors, and deck make this an exceptional property for family and friends. Huge fireplace, custom cabinets, quartz counter tops, theater room, and huge master shower are just a few of the upgrades. Don't miss the hidden pantry to accommodate your entire family. Level 3 is a partially finished bonus room above garage for extra space." "Lakefront! West side a secluded, wooded, lakefront cabin on 96 feet of frontage. Lakota Estates. Large open floor plan on main level. Furniture is included in purchase price. Upper level could be divided for privacy. Building lot has room for an additional 6000 sq. ft. foot print possible 2 story up to a 10,000 sq ft home! . Seller has a set of plans for future addition, Plumbing stubbed for addition in place. Adjoining lot 30 can be purchased. No short term rentals. " 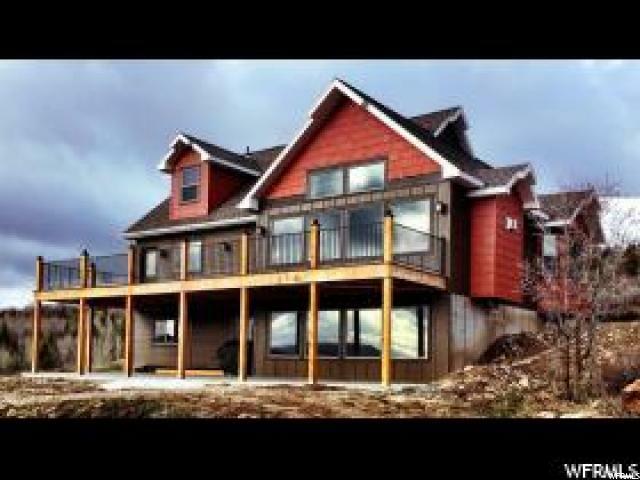 "Located in beautiful Bear Lake with unobstructed views of the lake!! Spacious deck, 7 bedrooms, 5 1/2 baths and large great rooms accommodate most groups comfortably! Large towering windows give way to incredible sun rises over Bear Lake! Log railings and accents make for a cabin feel. Relax on the deck or enjoy the amenities, swimming and tennis courts, the association provides! Paved roads, year round access. This cabin is in a short-term rental area. Sold furnished. Square footage figures are provided as a courtesy estimate only and were obtained from Rich County Assessor . Buyer is advised to obtain an independent measurement." 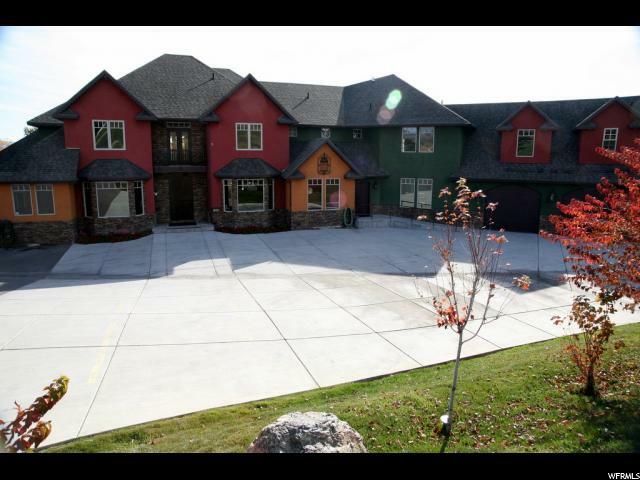 " Beautiful custom home with incredible views of the lake and surrounding mountains. Ride your ATVs or Snowmobiles directly from the property or be on the lake in minutes. Currently used as both a second home and a vacation rental. Great turn key investment opportunity! Sold furnished! Money to be made to help off set expenses. Rental History Available." "GREAT INVESTMENT PROPERTY! Coveted area of Cherimoya Hill Sub with paved roads, close to Pickleville Playhouse, Hodges Canyon trailhead and walking path. This house has established nightly rentals and is being sold turn key ready for personal use and rentals. Seven bedrooms, four and a half baths, two kitchens, three fridges, double ovens in main kitchen, huge pantry, two gathering rooms, open layout on main floor with plenty of dining area, large covered Trex deck and private master suite with own deck. Lower level has a game room (pool, air hockey, foosball and arcade), a theater room and a hot tub on patio! A playground and fire pit along with large lawn area and an oversized paved driveway/parking area complete this great property! Also has two water heaters and two furnaces with A/C. Adjacent lot is available for a great price if interested. Call listing agent now for a private showing. " "Luxury living in the desirable Buttercup Estates. 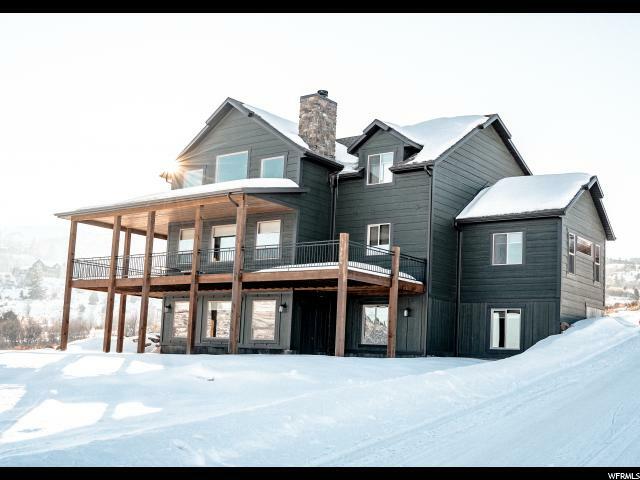 Come enjoy million dollar full views of Bear Lake, large open spaces, and beautifully locally sourced logs and timber that will take your breath away. 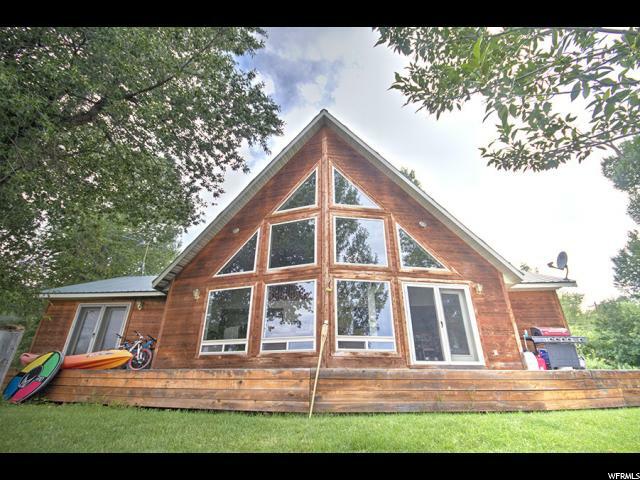 Short term and nightly rentals are allowed, and this cabin home is very impressive and easy to rent. 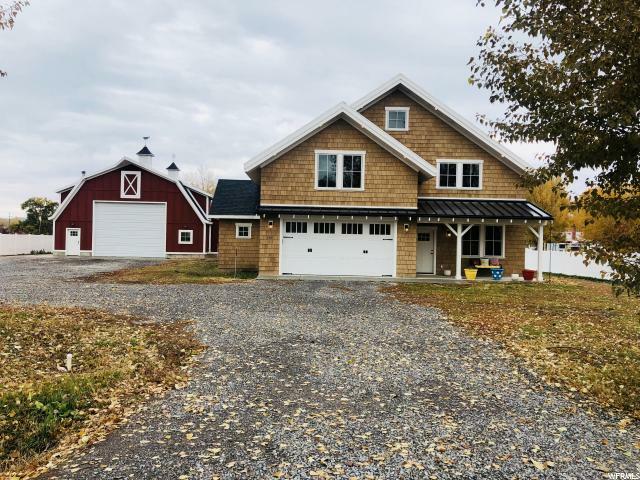 Six bedrooms, three family rooms, a very sensible open floor plan for the kitchen and dining on the main floor with a master suite on the main floor. Deluxe double shower and jetted tub in the master suite will make you feel like the royalty you already are. This is one you won't want to miss." 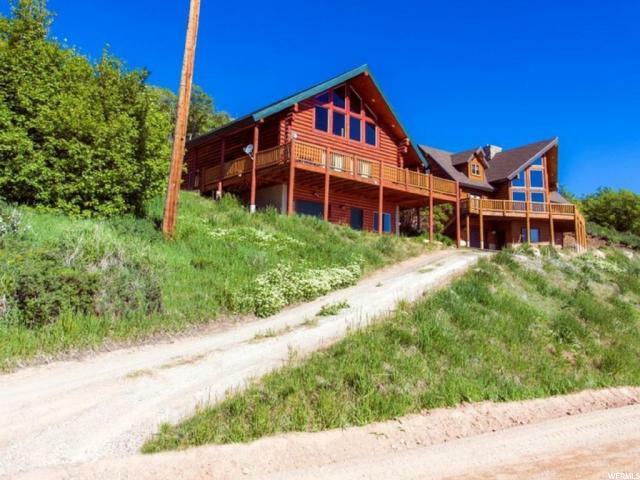 "Located on 2.27 acres in the mountains of Beautiful Bear Lake! Over-sized great room to accommodate large groups! Tongue and groove ceilings, knotty Alder doors, trim and windows. Wrap around Trex deck, security system, air conditioner, rock fireplace, on demand water heater, surround sound in family room, 10' ceilings in basement. Incredible view of the lake. Direct access to trails for ATV, snowmobiling etc. Horse property! Includes all furniture, linens, kitchen wares, wall decor, playhouse & fire pit. Garage is wired with 220. A MUST SEE! Call today for more information!!" "THREE LEVELS OF LIVING SPACE in this beautiful cottage-style house in The Cottages at Blue Water! Plenty of room for a crowd, walking distance to the a great beach on BEAR LAKE. Paved roads, close to bike/walking path, Pickleville Playhouse and UTV/ATV, snowmobile trail system up Hodges Canyon. Open floor plan with outdoor space on each level. This house is perfect for hosting big groups! Nightly rentals not allowed. Call listing agent now for a private showing! " "Beautiful and spacious home in Lochwood estates. Great location, walking distance to shops, restaurants, state marina . Minutes from Beaver mountain ski resort and other local attractions. This subdivision offers : pool, fitness center/club house, play ground, paved roads and much more. Call listing agent today to see this immaculate home." "New Home to be constructed with your color choices! 3418 sq ft with a total of 8 bedrooms. 3 beds 2 baths upstairs and 5 beds 2 full baths in the finished basement. Short-term rentals are allowed in this area. Lot is close to Sweetwater Golf Course and minutes to public beach. As a property owner in this area, you can purchase an amenities package from Ideal Beach to have sandy Bear Lake beach access, swimming pool, tennis, playground and more. Ride snowmobiles or ATVs from your lot to access hundreds of miles of mountain trails. Just minutes to launch your boat in Bear Lake. Enjoy recreation galore!" "LAKEFRONT CABIN! 201' OF LAKE FRONTAGE!! NO HOA! Enjoy beautiful Bear Lake sunrises from the large deck of this cabin! Close to Bear Lake State Park Marina! Great open floor plan, three bedrooms, fenced back yard. Room to expand living area with a garage/living quarters above. Nightly rentals allowed for those that are looking for an investment property! Call listing agent for more information. " "This is a great investment cabin in a rent-able community. It is being sold turnkey. Has a gorgeous view of the lake. Open floor plan for family entertainment. Close to the marina, town and bike path. Bear Lake is growing and this is a great time to invest for the future. Take the time to come and check this cabin out." 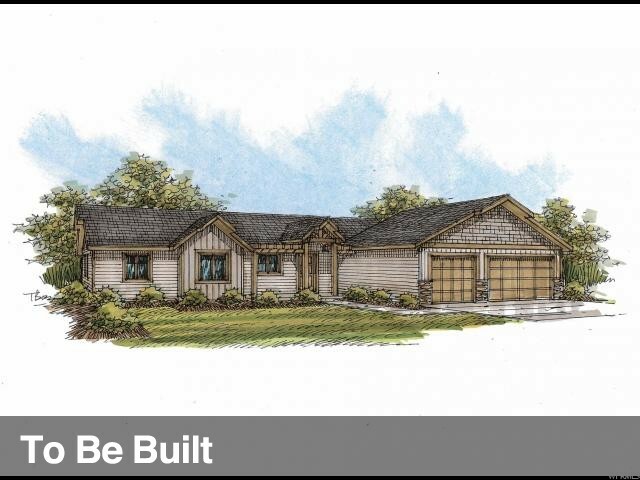 "New Home to be constructed with your color choices! 2700 sq ft with a total of 5 bedrooms. 2 beds 1 3/4 baths upstairs and 3 beds 1 full bath in the finished basement. Short-term rentals are allowed in this area. Lot is close to Sweetwater Golf Course and minutes to public beach. As a property owner in this area, you can purchase an amenities package from Ideal Beach to have sandy Bear Lake beach access, swimming pool, tennis, playground and more. Ride snowmobiles or ATVs from your lot to access hundreds of miles of mountain trails. Just minutes to launch your boat in Bear Lake. Enjoy recreation galore!" 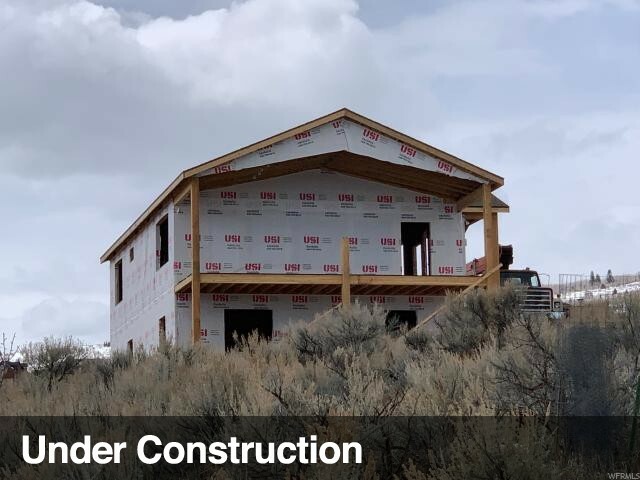 "NEW CONSTRUCTION cabin in lower Sweetwater with access to ATV/UTV and snowmobile trail system right out your front door! Hodges Canyon to The Sinks! Easy year round access on mostly paved roads. 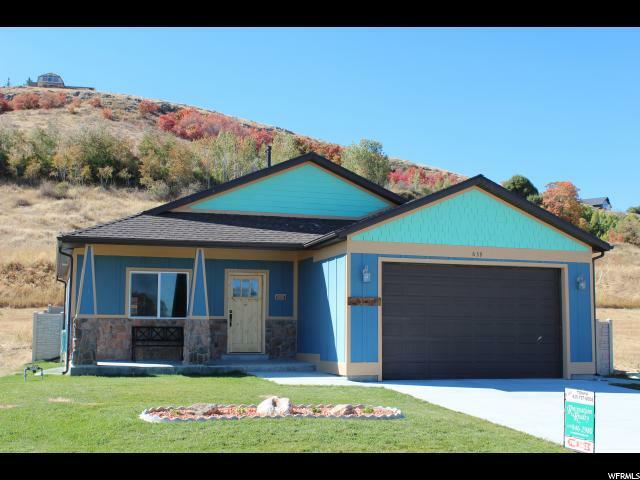 Views of Bear Lake and mountains and minutes to the beach! Optional amenities available at Ideal Beach with swimming pool/hot tubs, sports courts, mini golf, beach VB, horseshoes and great beach with boat rental! NIGHTLY RENTALS ALLOWED! Call listing agent now for more details. " "Charming home in Lochwood. 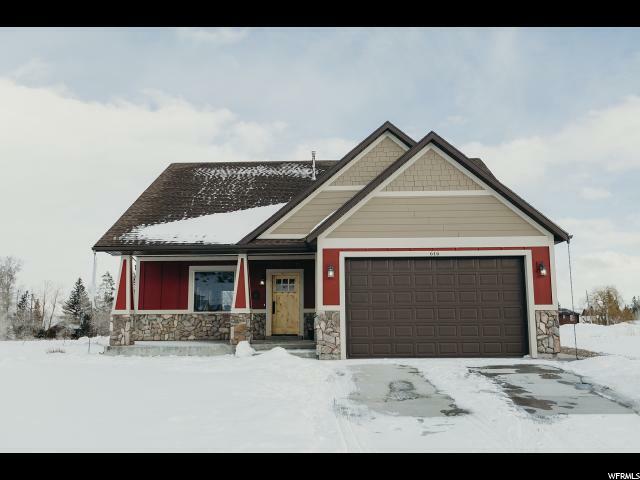 Location is great, walking distance to Bear Lake state marina, shops and restaurants, minutes to Beaver mountain ski resort. Easy year round access. This community offers a pool, club house and play ground. HOA maintains front lawns. Nightly rentals permitted!"